Curiosity is a well-studied phenomenon in the field of psychology, and a major motivational driver in education, commerce and science. At the core, curiosity is about the acquisition of information driven by the desire “to know, to see, or to experience.” For example, one contemporary psychological model of curiosity — Loewenstein’s information gap theory — says that people are curious when they are made aware of the gap in their knowledge, and engage in exploratory, information-seeking behavior in order to complete their knowledge and resolve uncertainty. The theory predicts that curiosity is heightened when the information gap is small but not absent, that curiosity can be induced by violated expectations, exacerbated when one is asked to make guesses about some unknown or missing information, and sustained only if there is timely release of information that satisfies the curiosity. The key insight for HCI research is that similar to other types of rewards, e.g., money, points and badges, information can be treated as a type of currency for motivation, and that one can design interfaces to induce and maintain curiosity in order to direct the behavior of the participants. In this talk, I will first give an overview of the key ideas in information-theoretic models of curiosity, and how these ideas manifest themselves historically in various lines of research in human-computer interaction. Next, I will present results from a recent study where we designed curiosity-inducing interfaces and studied them in the context of a crowdsourcing task on Amazon Mechanical Turk. Experimental results show that our curiosity interventions improve worker retention without degrading performance, and the magnitude of the effects are influenced by both personal characteristics of the worker and the nature of the task. Finally, I will end the talk by describing several on-going projects that continue to investigate principled ways to harness curiosity through design. 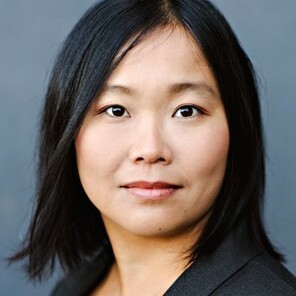 Edith Law is an assistant professor at the David R. Cheriton School of Computer Science at University of Waterloo. Her research focuses on studying incentive mechanisms in crowdsourcing systems and developing new ways to combine humans and machines to address problems in science and medicine. Previously, she was a CRCS postdoctoral fellow at the School of Engineering and Applied Sciences at Harvard University. She graduated from Carnegie Mellon University in 2012 with Ph.D. in Machine Learning, M.Sc. in Computer Science at McGill University, and B.Sc. in Computer Science at University of British Columbia. She was a Microsoft Graduate Research Fellow, co-authored the book “Human Computation” in the Morgan & Claypool Synthesis Lectures on Artificial Intelligence and Machine Learning, co-organized the Human Computation Workshop (HCOMP) Series at KDD and AAAI from 2009 to 2012, and helped create the first AAAI Conference on Human Computation and Crowdsourcing.